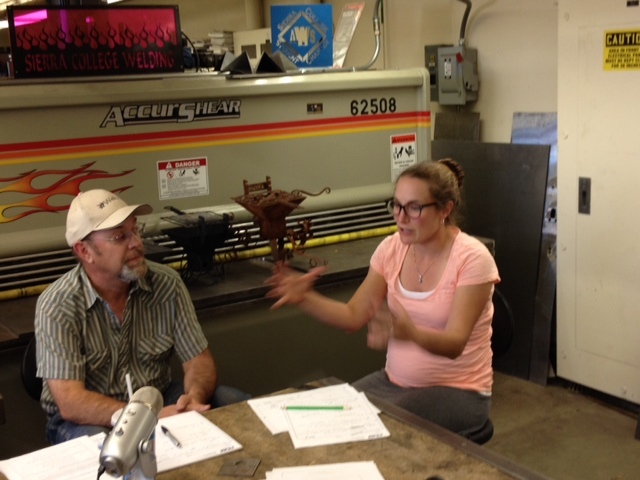 Sierra College faculty members worked together to infuse math activities and worksheets into welding classes. The project was originally funded by NSF. As a result students math scores were higher in the welding class with infused math than in the control group. Sac Hackapalooza, a youth hackathon will be held at Hacker Lab in Sacramento on June 14 & 15, 2014. This weekend long hackathon and makeathon is limited to 100 young people, ages 12 to 18 years old. The event is being offered in partnership with Girls Who Code, a national non-profit working to close the gender gap in the technology and engineering sectors. Sierra College CACT is a Hacker Lab partner and contributed a 3D printer and soldering equipment. 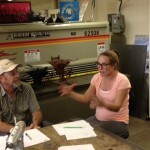 On May 22 at 4 PM, PST you can learn how to “Ignite Your CTE Students’ Math Skills.” Sierra College instructors, Bill Wenzel, Welding and Katie Lucero, Mathematics will present a free webinar on infusing welding assignments with essential math skills. Register for this free “Ignite Your CTE Students’ Math Skills”webinar. 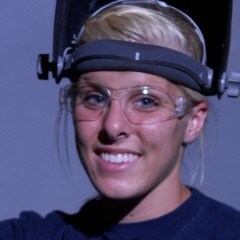 Read more about the May 22 Math in Welding event. Sierra College instructors will present eight turnkey activities and worksheets that they developed and used successfully in multiple welding classes to raise students’ math scores. The materials were created for the 2011-12 National Science Foundation (NSF) IGNITE (Infusing GeNed Into Technical Education) project, funded through a sub-grant from the University of West Virginia at Parkersburg. Sierra College STEM with the Placer County Office of Education are offering a hands-on Algebra Professional Development. 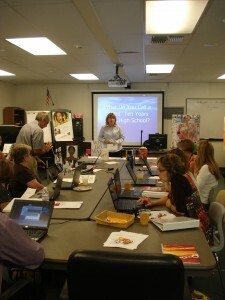 The training will prepare teachers to meet the new Common Core education requirements. Learn more at Hands-on Algebra. 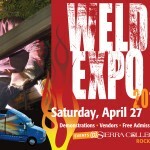 The Miller Roadshow Truck will be at Sierra College this Saturday offering advanced MIG & TIG welding classes. The new Sierra College Mobile Welding lab will be unveiled and attendees can take short workshops in the new lab. 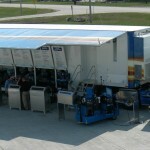 PG&E and over 20 welding industry partners will provide demonstrations at the Rocklin campus. Attendees can try live as well as virtual welding. When: Saturday, April 27, 2013 from 9am – 4:00 pm. Who: The American Welding Society Sierra College Student Chapter is hosting this event for families, students, welders and community members. Why: Attendees can experience metal working from blacksmithing to state-of-the-art welding technology being used in construction and fabrication to rebuild America. Discover your passion for welding, see the latest welding equipment, talk with experts, try welding, enroll in TIG or MIG advanced seminars, check out virtual welding, meet faculty and students, see pipe welding demonstrations and so much more at Weld Expo at Sierra College on Saturday, April 27, 2013 from 9 am to 4 pm. Free admission and free parking. Math teachers are invited to a professional development program offered by the Sierra STEM Collaborative: Teach creativity while reinforcing essential math skills. It will be held March 14, 2013 3:30-5 PM at Colfax High School. The instructor is Jonathan Schwartz, Math & Engineering, Colfax High School. Who: Math Teachers in grades 4-12 looking for innovative ways to reinforce Math & Critical Thinking skills. Why come: Gain a new tool to use in your classroom, experience using it in this hands-on workshop and benefit from hearing what your peers are doing to enhance math education. You will get one set of Core-Cards to use. What are Core-Cards? They are an incredibly flexible set of cards can be used to teach needed fraction, decimal and percentage skills. The cards are designed to visually prompt students so teachers can use the cards to help learners of all levels. Cards are 1/8, 2/8, 3/8, 4/8, 5/8, 6/8, 7/8 and 8/8 and the equivalent reduced fraction, decimal and percentage. A diagram also appears on the cards. To play Go Fish, students collect cards that sum up to one in the same suit. Slap Jack is an anticipatory game; they slap when the last two cards add up to one. In 21, students add cards to get close to two. How does it teach creativity? Students use their creativity to invent their own games. Through the experience, they use critical thinking skills and experience deeper levels of understanding. Students take a test to determine what skills they need to improve. Then they develop their own games to practice the needed skills. Students can write papers and/or give presentations about their hypothesis, the game developed, how the pilot of the game went, the results of the post-game test and how well the game improved their skills. This engages students and empowers them to take a more active role in their own education. They also benefit from going through an invention design process to create their game. Once developed, the games can be played by other students in your classroom. At this workshop, learn how to coach your students effectively through this process. The City of Roseville Utility Exploration Center will offer classes this summer to introduce students to environmental subjects in a fun adventure setting. THe center is located at 1501 Pleasant Grove Blvd in Roseville, Ca 95747 and the phone number is (916)746-1553. One person’s trash is another person’s treasure! What will you find?! Don’t throw away that shampoo bottle, old t-shirt or empty toilet paper roll. Make it into something else, like a new scarf, a reusable gift box, or a cell phone holder! At this summer camp we’ll turn all kinds of things we often toss away into something useful and fun including making our own paper. We will also visit the Materials Recovery Facility where our trash gets sorted and recycled. Disassemble it! Explore it! Rebuild it! Ever wondered what’s inside a computer, cell phone or flat screen TV? Take apart some common household electronics to find out what they are made out of and what YOU can make from their parts. Using basic tools, participants will take apart electronics and use pieces to create their own working invention, an amplifier for listening to music on your I-pod or cell phone! We will explore science, mathematics, engineering and technology, and send campers off with a desire to want more! WARNING – After camp, kids may want to keep taking things apart! What exactly is energy? Have you ever seen it? Heard it? Touched it? Together we’ll discover some of the tools and gadgets that make energy come alive. We’ll travel the path of a power line, uncovering the mystery of how energy is generated by visiting the American River Water Education Center and Folsom Dam, and explore the magical journey it takes to get to our homes and schools. Join us for an electrifying week of fun and discovery! Course #63081, $115 RSVL, $125 nonRSVL, M-F, July 8-12, 1-3pm, 8-12 yr old, 15 max, 6 min. Campers will learn to capture images using various manual settings on digital cameras provided by the instructor. Instruction includes composition, portraiture, macro (close-up), self-timer, lighting, depth of field and tips & tricks. Self-evaluation and critique are also explored. Shooting assignments will take place throughout Mahany Regional Park and within the Exploration Center. Photos can be viewed in an online gallery and select photos will be on public display in the Exploration Center through the end of August. Campers will receive their photographs at the conclusion of the show and a t-shirt declaring them a photographer and graduate of Wild Child Outdoor Photo Camp. Did you know that the Earth has the same amount of water today as it did 4 billion years ago? In fact, the water you drink today may have once been inside a glacier or even a dinosaur. Join us as we follow a drop of water from the sky, down a creek, through a treatment plant, then out a squirt gun! During this amazing summer camp, we will get dirty in our local creek, take a field trip to our [American River Water Education Center/wastewater treatment plant] to see how Roseville cleans our water and, of course, get wet along the way. Water – we can’t live without it! Teachers, counselors and administrators from schools that have a Career Cruising license through the Sierra STEM Collaborative can participate in training on Feb 4, from 1 – 5 PM. Mony Pal from Career Cruising will conduct the afternoon workshop. She will review system basics and how to use the four year planning tool. Participants will gain tools and resources to emphasize opportunities in Science, Technology, Engineering & Math careers. STEM Teachers can learn about new class projects by attending these SMUD workshops in February in Sacramento. How to Build a Solar Car - High School and Middle School Teacher Workshop, Thursday, February 7, 2013, 4:30 p.m. – 7:30 p.m.
Physics teacher, Eric Wright will show you how to bring engineering and solar technology into your curriculum by having your students design and build solar cars. Teachers will get one solar car kits. (High School students will be encouraged to design and build race cars to compete in the SMUD sponsored Solar Car Race to be held later at American River College on May 3, 2013. ) This is optional. If you plan on racing this year, please contact Suzette Bienvenue at 916-732-5175 | suzette.bienvenue@smud.org so that she can order kits for you. Education and the Environment – Grades K-12 Teacher Workshop, Tuesday, February 12, 2013, 4:30 p.m. – 7:00 p.m. The California Education and Environment Initiative curriculum is an on-line resource for teachers and is designed to work in coordination with existing textbooks that teachers are already familiar with. The standards-based curriculum teaches History/Social Science standards to mastery, while supporting English Language Arts. This workshop will review all of the classroom support resources and materials available and the unique connection to relevant California topics.